Dimensions: 33 Inches Wide, 35 Inches Deep, 35 Inches High. 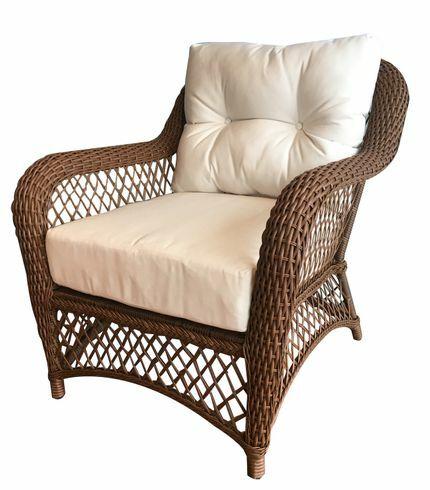 Outdoor wicker chair with Sunbrella cushions. 33 Inches Wide, 35 Inches Deep, 35 Inches High.